Just after Hurricane Maria hit Puerto Rico, José Andrés arrived and started to cook. Andrés, whose 29 restaurants have earned him Michelin Stars and James Beard awards, dropped everything to feed hundreds of thousands of people as they scrambled to rebuild their lives. 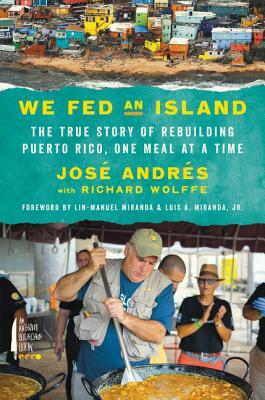 We Fed an Island describes his experiences in Puerto Rico and details the community of activists feeding the island to this day. A portion of the book’s proceeds will be donated to the Chef Relief Network of World Central Kitchen.